Do you want help a great cause and have some spare time on 27th of August from 9:00 – 14:00? Guide our Bachelor kiddos! Are you ready to help the parents and take their responsibility off their shoulders for (almost) a day? You have a chance to do so by becoming an activist during the Bachelor Day organized by the Kick-IT! As in the previous years, Bachelor Day will be an educational day of the Kick-In when kiddos will have a few meetings with important people they will meet later in their study programme, sign for Osiris and Canvas, get to know Inter-Actief and possibly join our association! Your job would be to show them around a bit, guiding them to the specific rooms where the activities will be prepared. Therefore, we require an activist to know most common rooms/places on the campus and to be communicative and enthusiastic so the kiddos don’t get scared of by the amount of information they receive. Too old for the Kick-In? On the contrary! Become a mentor for the EEMCS master Kick-In! Together with another mentor, you'll guide around ~15 new master students who want to get to know the Netherlands, explore the campus and party. Naturally, you will get to enjoy the general Kick-In activities. Your role is to keep an eye on the (already quite independent) new students and show them what student life is like here. Start your year with a blast ...while making a difference! Questions? Mail us as well! Not a master student yourself? Even if you’re still doing your bachelor or will be starting your master you can still become a mentor. Information about the study programme will be provided by the faculty, you only need to know the city and the campus. The BITOC, the programme committee of the Business & IT and Business Information Technology, is looking for a minutes secretary starting September 2018. As a minutes secretary, you will join our monthly meetings and take notes. The meetings will also be recorded for the purpose of creating and expanding the minutes afterwards. This means that you'll also need to finalize the minutes after every meeting and have them ready in advance of the next meeting. Needless to say, this is a paid job, and you will work in close collaboration with the CES (former BOZ) colleagues responsible for our programmes. If you are interested, please contact the BITOC students via bitoc-students@lists.utwente.nl. Please do so as soon as possible, given the approaching holidays. The OEC (the Education Evaluation Committee) is looking for new members! As the committee will only consist of BIT students after current members have left, we are looking for two 1st/2nd/3rd year TCS students. As a member of the committee you will organise (the hopefully well known) panel meetings for bachelor modules. This will cost ~10 hours per module. If you are interested, or if you have any questions, please send us an e-mail! IA will likely organise the next SNiC symposium, there will be an interest lunch for people who would be interested in doing so in the Abscint on the 22nd of June. SNiC is a foundation that organises a yearly symposium for nine computer science study associations. One of these associations is, as you may know, Inter-Actief. At the last SNiC central meeting, it became clear that there is a high likelihood that Inter-Actief will have the honour of organising the 2019 edition of the SNiC symposium. In order to further increase our chances of being allowed to organise the symposium, the candidate board has decided that we will try to start up a committee in the coming weeks. If you are interested in organising the symposium or want to know more about SNiC in general, please feel free to visit the SNiC committee interest lunch on the 22nd of June. The lunch will take place from 12:30-13:30, in the Abscint. We will arrange free lunch, so please enrol on the website so that we have an indication of how many people we should expect. 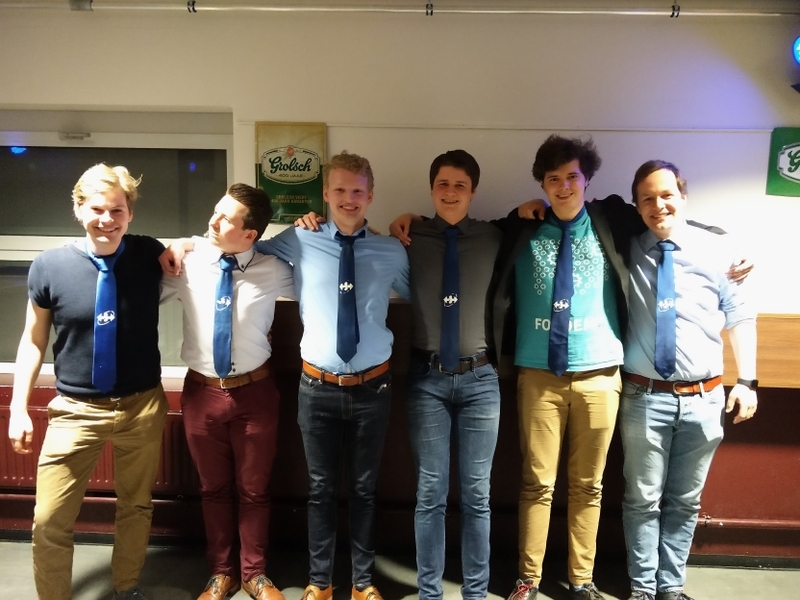 We will take applications at board@inter-actief.net until the 29th of June, and thereafter all people that applied will be invited for a short interview. If you have any questions at this time, please feel free to send an email to the board! The committee that will organise the symposium in 2019 has been announced! Decide what happens with the new stream of income for the university! Submit your idea in one minute. The university wants to know in what they should invest their new stream of income. It concerns the money that used to be given to Dutch students as financial support. The Dutch government made this change a few years ago and they want to see results! The budget is estimated to be as big as 200 euros per student. The plans for investments are being drawn up this year, and divisions will be made on a programme, faculty and university level. What do you want to see? All ideas are welcome, even if they are out-of-the-box, very broad or perhaps too expensive. You'll hear which quality agreements will be made based on your feedback later this academic year. Maurice van Keulen received the education bouquet on the 23rd of April. Maurice van Keulen is responsible for the master course Data Science. Although being a busy with these responsibilities, he managed to help with the problems of over a hunderd students over the duration of the course. This help is acknowledged by the students via the education bouquet! The registration deadline for the Research Project is April 8. Please be aware of the fact you cannot register via Osiris. You need to register via the following webform. The candidate board for 2018/2019 has been announced! During our last GMM, the cost division for the free coffee on the balcony came up for discussion. A number of members expressed their concern that the current division with Scintilla is not representative for the amount of coffee that our members actually drink. We were asked to think of a method for keeping track of the coffee consumed to have some facts to substantiate the division. A new committee has been initiated, called the Cofftee. The committee consists of every active member at Inter-Actief. Every week, unless a volunteer steps forward, one committee member will be chosen at random to ‘count the cups’ for that day. A ledger will be placed near the coffee machines with detailed instructions for keeping track of single cups of coffee or tea as well as cans. To gather some data about potential consumers, we also added a column for every cup of coffee our members get at Abacus. At the end of the trial, a bronze plaque will be pinned on the coffee machines with the name of the committee member that volunteered the most days. The first selection has been made, and the lucky winner is: Stephen Geerlings! If you come by the IA room on Tuesday, we will help you get started. At the drink at 27th of March, the winners of the Inter-Actief Decentralized Education Awards are announced. After the Education Committee received many nominations from both TCS and BIT students, three teachers: Harry Aarts, Doina Bucur and Jair Santanna had the opportunity to present something about passion at the Inter-Actief Decentralized Education Awards lunch lecture of the 19th of March. We started with Harry, being a mathematician, who couldn’t help himself to tell us something about solving puzzles using mathematics. Moreover, he also opened his personal life to us by showing a few pictures of his children playing with a Rubik's cube (and destroying it as a future mathematician). Then we got Doina who told us a bit about her hobby – logic and data. She taught us how to recognize and track bad science. It is always useful to get to know some mistakes in logical assumptions students often make, isn’t it? Finally, we had Jair who is really passionate about the topic of DDoS attacks in general and booters in specific. Therefore, we had a practical lesson of how easy it is to attack a server and why is it a big problem currently on the Internet. At the IDEA awards drink on 27th of March, the nominated teachers were called in front of the room in order to receive their prizes: Doina Bucur took the 1st prize, Harry Aarts the 2nd and Jair Santanna the 3rd. About Doina, her students said that she shows love and enthusiasm for her subject; that she keeps a good balance between theory, practice and research; that her courses are very well organized, including very short grading times; and that she is very approachable. Harry is argued to be the best mathematics teacher who shows great motivation to teach and who explains topics very well and in an easily-understandable way. Jair is called a great guy who is always cheerful when explaining his subject. A student even voluntarily attending one of his lectures. 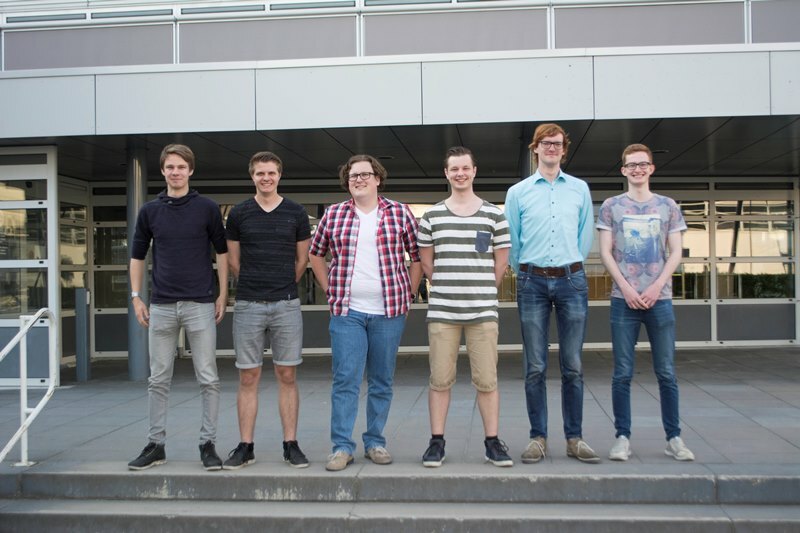 Moreover, the atmosphere was inspiring and “famous” teachers such Klaas Sikkel, Pieter-Tjerk de Boer and Arend Rensink applauded along with students from TCS and BIT. In the end, all three nominated teachers are challenged to play a game of twister with our Officer of Educational Affairs, Lindsay Kempen. Harry Aarts won the game. The lunch lecture, as well as the IDEA drink, were a success in showing our gratitude towards the professors, as well as inspiring the students they teach every day.